What percent of adults are getting 6 hours or less of sleep each night? The correct answer is 30%. Nearly 30% of adults sleep an average of 6 hours or less each night. If you’re getting less than 7 - 9 hours of sleep each night, talk to your doctor about how you can get more sleep. Lack of sleep is linked to which if the following? The correct answer is all of the above. Lack of sleep can cause you to nod off while driving or lose focus at work. This can lead to serious accidents and work errors. Do not drive a car, operate heavy machinery, or try to do difficult or risky tasks when you are tired. The correct answer is all of the above. Over time, not getting enough sleep can harm your health. People who don't get enough sleep are more likely to have the health problems listed above, and may die earlier than people who get enough sleep. Which of the following is NOT a good sleep habit? D. Avoiding caffeine after 2 p.m. The correct answer is sleeping in on the weekends. You'll sleep better if you go to bed and wake up at the same times every day, even on weekends. Also be sure to get 7-9 hours of sleep a night. Talk with your doctor if you are having trouble sleeping. You need the same amount of sleep throughout your lifespan. The correct answer is false. Sleep patterns change with age. Plus, not everyone needs the same amount of sleep. Children 5-10 years old should get 10-11 hours of sleep daily, teens 10-17 years old need 8.5-9 hours, and adults need about 7-9 hours. Which of the following can make it hard to get to sleep and stay asleep? The correct answer is all of the above. 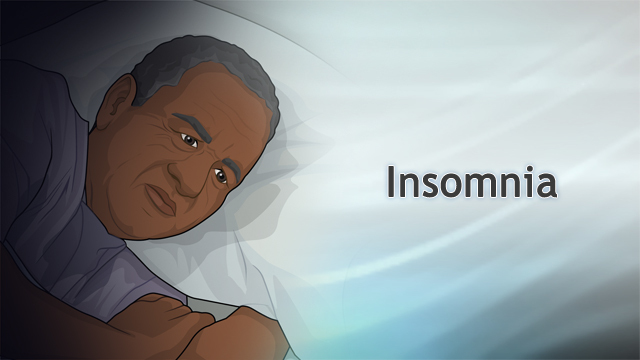 Insomnia occurs when you have trouble getting to sleep and staying asleep. The factors listed above all make it harder to sleep. Try making some changes in your TV watching, exercise, and sleep habits, and see what works for you. Sleeping pills are the best treatment for insomnia. The correct answer is false. Sleeping pills don't treat the underlying cause of your sleeping problems, but they may help you get some rest. Changing the habits that make it hard to sleep works for most people. Talk to your doctor to find out which approach is best for you. Getting less than 8 hours of sleep at night is bad for your health. The correct answer is false. Different people have different sleep needs. Some people only need 6 hours of sleep each night. Others need 9 hours of sleep to work at their best. Find out if you need more sleep by paying attention to how sleepy or tired you are during the day. Some people stop breathing while they’re asleep. The correct answer is true. If you stop breathing while you’re sleeping, you may have a condition called sleep apnea. Sleep apnea causes your breathing to stop and start. Breathing pauses can last from a few seconds to minutes. If you’re getting enough sleep but still feel sleepy during the day, ask your doctor if you might have sleep apnea. Which of the following is a symptom of sleep apnea? The correct answer is all of the above. If you notice symptoms of sleep apnea, talk with your doctor. Losing weight can decrease the number of apnea spells you have during the night. Your doctor will talk with you about other treatments, including a using a machine to help you breathe while you sleep. Which group of people is at risk for sleep apnea? The correct answer is all of the above. Being overweight can make your airways narrower, so it's harder to breathe when you are asleep and your mouth and throat relax. So can enlarged tonsils. Men are also more likely to get sleep apnea. Drinking alcohol before bed will help you sleep better. The correct answer is false. Drinking alcohol might make you sleepy, but it keeps you from getting deep sleep. If you have sleep apnea, drinking alcohol can make symptoms worse. You should avoid alcohol close to bedtime.